In part one of this series, I discussed the best practice of using an enterprise valuation metric like return on net assets (RONA) to align procurement to spend owners (and to finance). It’s a key practice, but I think it’s time to broaden one of the aspects of the metric, and that has to do with “assets.” Don’t get me wrong — I don't plan on petitioning FASB on any specific changes to capitalization rules for technology or R&D. But, I’m going to argue that in an emerging digital world, we have to view “assets” both more broadly and more deeply in terms of how they are managed — including using technology to do just that. Supplier as asset. How can you get more from supplier assets for the same price that doesn’t degrade supplier profitability? If a supplier has a sunk cost that can be better leveraged to help you reduce your total cost of ownership (TCO), then that’s a no brainer. Getting higher service levels from suppliers that translate into lower TCO are an often overlooked and easily implemented opportunity. Software as asset – beyond capitalization. As the world moves to a solution and services orientation in a digital world, technology applications become just as important of an asset as a physical asset (machine, truck, facility, etc.). For example, is the IT department getting a killer deal on “free” or low cost software licenses that sit unused? Might that even include procurement technology? If so, RONA obviously declines. And in a world that is moving to cloud where such technology assets appear as period expenses, you lose sight of those assets. Product as asset. Your products and services to customers, and those from supplies to you, are becoming digitally enabled, so therefore, there are digital assets to manage. Are you getting returns from your suppliers’ R&D budget in digital business strategy? If you can do some supplier collaboration surrounding digital innovation that can improve service levels to you and reduce your TCO, tap those assets! Also, if you are pursuing such strategies with your customers, wouldn't that be a nice place to plug in procurement to better provision key supplier assets into that value chain? People as asset. You know the phrase “people are our greatest asset,” right? Well, what about when those people not on your payroll? They are absolutely critical assets that produce key outputs as much as machines and technology. Unfortunately, the procurement of the services that those people deliver ends up treating the service like a simplistic product, while the richness of “asset” itself is lost. Those assets can be very valuable and very risky, too. Herein lie the operational challenges of managing these assets more robustly. These various types of assets (people, software, machines, products) are increasingly interacting with each other, yet the workflows surrounding this converging world, and the technologies to manage them, are failing us, particularly related to the software applications that manage them. 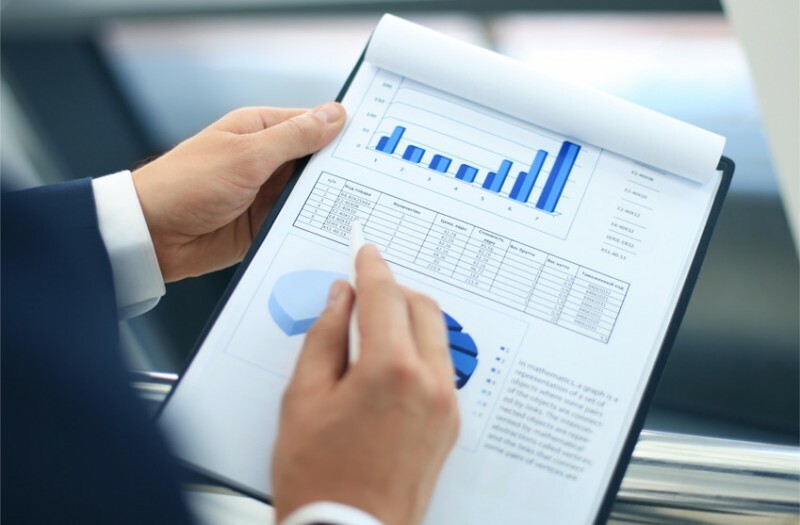 From a process standpoint, consider a stakeholder’s context (i.e., context management – not just category management or customer management) such as a conference event. Consider the complex mashup of spend categories, processes and assets that need to be tracked to pull off a successful event. 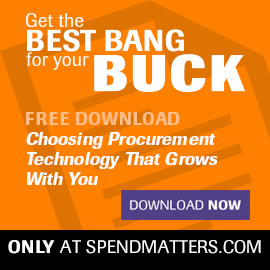 Now consider traditional procurement applications that are struggling to even handle the most basic category-specific nuances, let alone customer-specific or context-specific. Current applications have rigid, hierarchical and siloed data models to handle such master data individually, as we wrote about in terms of spend category hierarchies. Supply chains are different — they’re networks. Social networks are complex networks. Our brains (and some advanced AI-based analytics) are neural networks. So, the context mentioned earlier helps set the domain from which future intelligent applications will operate as “mass customized” procurement solutions (see here for more). They will be able to understand how the various “assets” we’ve been describing behave and interact in complex (and even adaptive) ways. For example, an independent contractor may be a supplier asset to manage and a human asset to track and an IT user asset to monitor. If this person is acting in a functional role, such as a tactical buying resource in procurement, that’s yet another “overlaid” context to be managed in the business process by the software application. In the software, these assets are modeled as different types of object classes that relate to each other in complex ways not necessarily predefinable by a software programmer. There are many other examples. Consider the lowly catalog, which is also becoming a “supply object” used for a guided buying scenario. In such a scenario, the notion of “preferred supply” (i.e., supplier and P2P buying channel) can take many forms depending on who you are, what you’re looking and the policies set about how you can buy and pay. For more on this, you can see this recent blog post or this longer deep dive webcast into an intelligent catalog scenario. Anyway, I’ll stop here and give more examples in part 3 of this series.